I had a very fun night last night after being invited to the launch of a beautiful new mansion called The Regency, just completed by luxury building company Oswald Homes. They build some of THE most gorgeous luxury homes in WA and this one was exquisite, and very timeless in style which I love. House Nerd was actually the very first media invited to view the home for a story, and I was most chuffed! The Regency is Oswald's newest spec home (on ritzy Watkins Road in Dalkeith) and I first did a tour last Thursday and fell in love with the place. 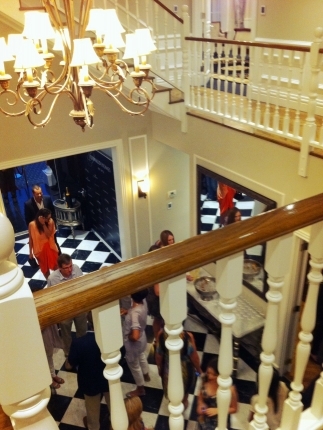 Then last night I visited the home in its night-time splendour for the official launch. Would you like to see some of my iPhone photos that don’t do it justice? WHERE IS JEEVES? 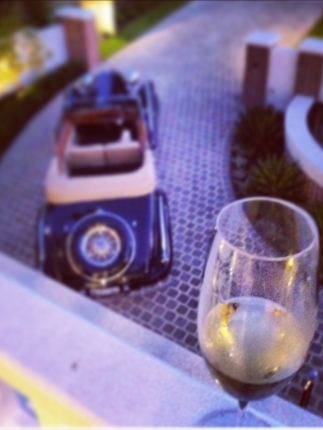 Looking out across the cobbled driveway from the marble-tiled balcony to the luxurious master suite. And the beautiful grand entry foyer, tiled with Bianco Carrera and Marquina marble. 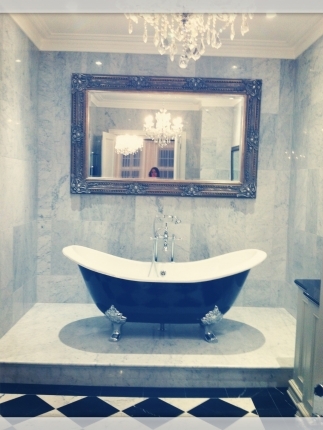 ABOVE LEFT: My slightly off-kilter, champagne-influenced snap of the master ensuite, unfortunately with my head in shot. The walls and floors are tiled in marble while chandeliers link the room to the spacious but cozy bedroom. TINY ICECREAM CONE, MISS? No thank you, stop twisting my arm... ok I'll take two. 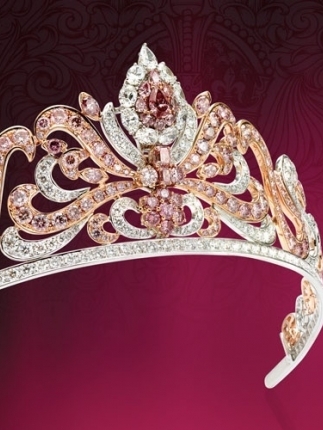 ABOVE LEFT: Linney's beautiful $2.25 million Argyle pink diamond tiara. 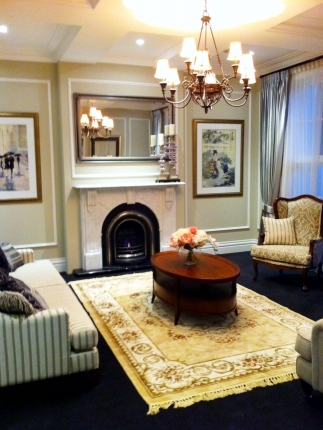 ABOVE RIGHT: A peek into the drawing room with gas fireplace with marble surround and hearth. THE REGENCY: An artist's impression of the elevation. Professional photos to come soon. The launch was lovely. More than 120 guests were invited, welcomed by a red carpet rolled down the front steps and onto the sweeping cobblestone drive and greeted by waiters proffering glasses of Veuve Cliquot, which flowed all night. Oh hellooo. I could get used to this. Is it bad if I begin by talking about the food? Because it was amazing. The catering was by Maurizio Restaurant & Events Catering and they served up pockets of heaven in every morsel. 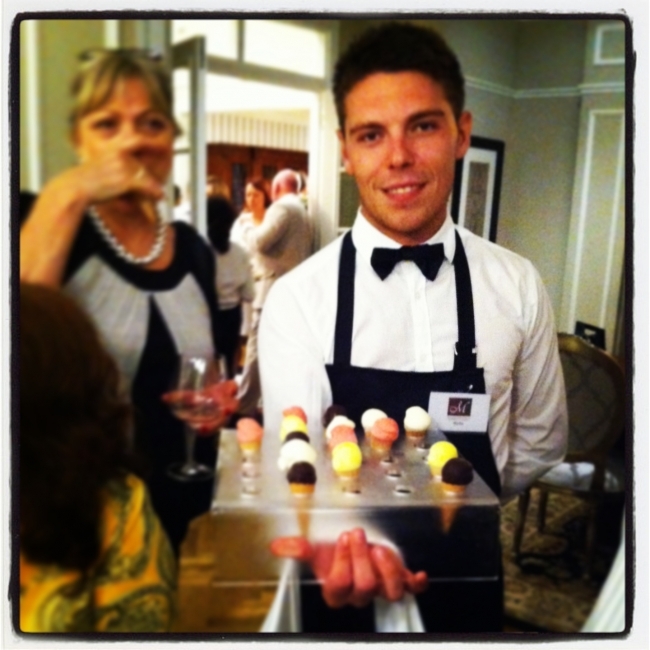 Caterers for our wedding – I have found you. Designer Lisa Ho debuted her latest collection at the launch with extremely beautiful models who walked around the party and made me look like a hobbit. But they were all really lovely. They all did a costume change mid-party like Beyonce. Diamond and pearl retailers Linneys were a special guest and showcased one of their latest acquisitions in the dining room – this pink Argyle diamond tiara… yeah, only worth $2.25 million. They ran a contest to win a diamond by guessing the carat weight of the tiara. I furtively whipped out my phone and tried to figure it out with the aid of Google (class? What is that?) Despite the fact that maths is not my strong point, I’m sure I would have totally been able to nut it out if I hadn’t drunk four glasses of champagne. (As it was, 90,000 grams was not the right answer). The home looked even more enchanting at night-time. This place is unique. 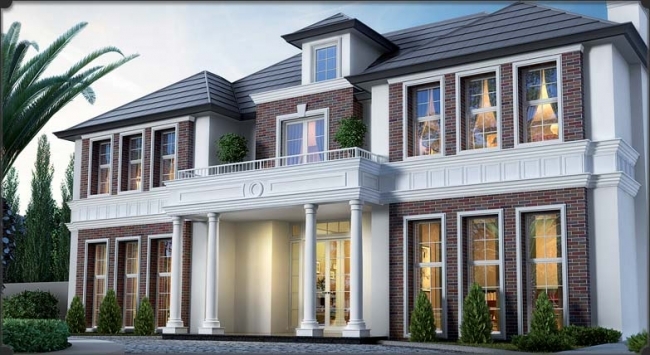 It blends elements from Georgian, Plantation and traditional English styles with a rich palette of oak herringbone floors, exquisite wallpapers, a black and white marble-tiled foyer, chandeliers and Carrera marble benchtops. 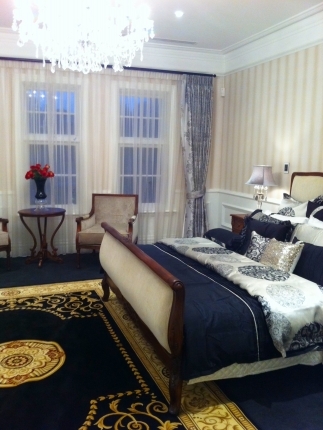 Very grand, very elegant, but still it has a nice warmth and a friendly invitingness - it didn’t feel imposing or cold. Yeah, I could totally live here. And for you, nerds, I tried to take as many iPhone snaps as I could without looking like a weirdo (although I managed to resist the temptation to take the (marble-tiled) bathroom selfie. You know the one girls). Towards the end of the night everyone was very merry on bubbles and this grand abode felt like it had been well and truly house-warmed. But after a night of glitz and glamour, painful heels and tiny icecream cones, I’m now back at work at the old desk I’ve written at since I was five, with the dog trying to lick my kneecaps. Perth nerds, The Regency is open for viewing on weekends. Click on the link for details. Grooviness! Lush! And... I'm out of 15yo words (well from when I was 15!) Was an awesome night, my blurry photos definitely don't capture it properly! This place looks amazing you are very lucky to get such an exclusive peek! I would've scoffed a few of those little ice cream cones too! stunning house, I have always been curious about the homes in Dalkeith - happy to have seen inside one even though it is through your blog post :) thank you! It looks so damn beautiful!